Northern Goshawk or Accipiter gentilis. Vintage engraving. Robinson's anemometer or wind gauge vintage engraving. The Great Seal of the State of Alabama vintage engraving. Verona Arena in 1890, in Verona, Italy. Vintage engraving. Culverin or medieval cannon vintage engraving. Centrifugal force vintage engraving. 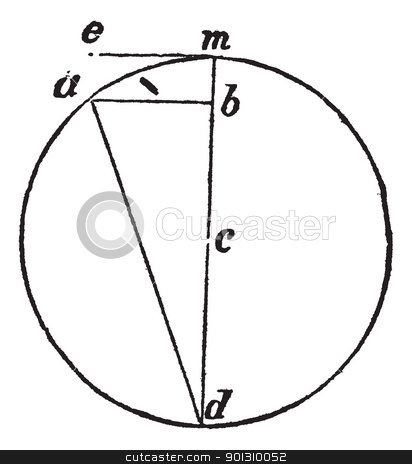 Old engraved illustration of a mathematical diagram.